And now something completely from this earth. Since i wrote about Aaron Swartz i found this great documentary on great people from TPB. 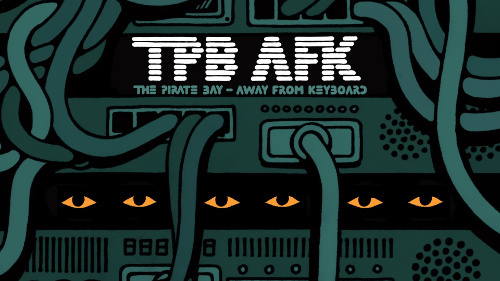 TPB AFK or The Pirate Bay Away From Keyboard is a documentary film released on 8 February 2013, directed by Simon Klose, based on the lives of the three founders of The Pirate Bay: Peter Sunde, Fredrik Neij and Gottfrid Svartholm. Filming began in Summer 2008, and concluded on 25 February 2012. The full film was released under a Creative Commons license (BY-NC-ND) onto The Pirate Bay and other BitTorrent sites. Also, a four minute shorter version was released at the same time for those who wish to remix or re edit their own version of the film, featuring an edit with certain copyright restricted content removed, under a different Creative Commons BY-NC-SA license. For those who wish to support the creators, apart from online donations, they can buy the DVD version and digital download. Pre orders can be made via the official movie website. TPB AFKs premiered at the 63rd Berlin International Film Festival on 8 February 2013, opening the festivals documentary section, and was released online for worldwide free download (or purchase) at exactly the same time on YouTube and on The Pirate Bay. On 19 February 2013, the film was broadcast on BBC Four in the UK as part of the BBCs Storyville documentary series strand. Peter Sunde, one of the main characters in the film, wrote on his blog, that he has mixed feelings about the movie and the release of it. While he likes the technical side, he has serious issues with some scenes and general attitude of the film. This includes too much focus put on the trial, too dark depiction of it and portraying himself beyond self recognition. Despite having such different views on the subject, he regards the director as a friend. On May 2013, Hollywood studios such as Viacom, Paramount, Fox and Lionsgate started to censor Google Search links pointing to the documentary, an action criticized by the director of the film Simon Klose.On June, after the initial controversy, HBO and Lions Gate sent additional bogus DMCA take down notices to Google requesting the removal of links related with the TPB AFK. In response, Simon Klose contacted Chilling Effects which recommended him to file a DMCA counter notice where he explained that the purpose is to share the film as much as possible. Two months later, the censored links were reinstated only after public complaints made by the film director. The Pirate Bay has my full support because their distributed and seamingless network that still functions after all these years despite all attempts to pull it down. So Long live TPB and very, very bad society all around for prosecuting these clever people. Solve this complex math: 1 + 10 = ?